OFFICE PARTY or SPECIAL EVENTS. Wisteria Restaurant is available for your Holiday Celebrations. Please call 404.525.3363 to discuss how we can help host your special event. Office or holiday party, wedding rehearsal dinner, or any other celebration, we are here to provide a touch of southern hospitality through great service, superb libations, and food that makes a statement. 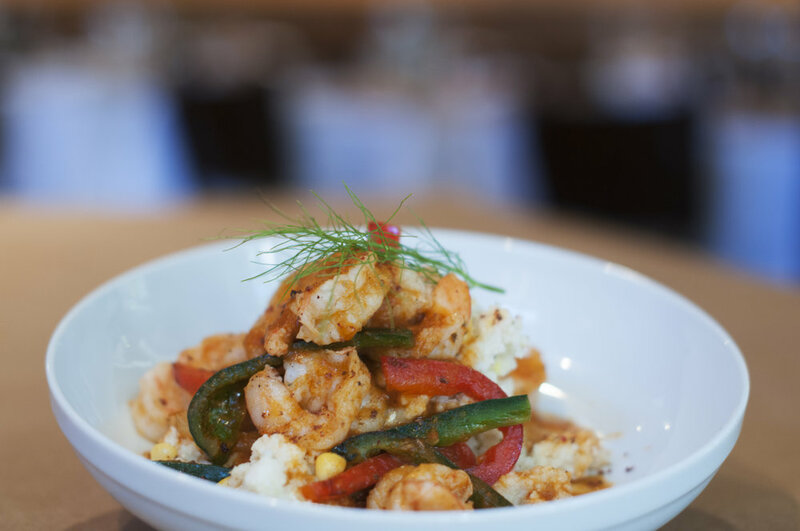 Our contemporary American cuisine incorporates a Southern twist which is sure to please every palate. Come in and enjoy Chef Jason Hill's seasonal menu featuring items such as All Natural Iron Skillet Fried Half Chicken and Molasses rubbed Grilled Pork Tenderloin. Jason and Walker are proud of the relationships they've built over the years with local purveyors, food craftsmen and farmers. Wisteria's menu reflects these relationships, utilizing sustainable and organic ingredients whenever possible, from Atlanta's Turnip Truck and its harvest of organic vegetables to the goat cheese at Coles Lake Dairy in Carrollton, Ga.
An adventuresome cocktail program and extensive craft beer collection dovetail beautifully with the modern twists and Southern flare of the kitchen. Wisteria also prides itself on a diverse and extensive wine list served by the restaurant's warm and knowledgeable staff.